Dr Mobli is a Group Leader at the UQ Centre for Advanced Imaging, where he leads a biomolecular NMR group. He has affiliate appointments at the School of Chemistry and Molecular Biosciences as well as the Institute for Molecular Bioscience. He is an expert in the field of NMR spectroscopy where he has made significant contributions in method development as well as addressing important chemical and biological questions. He started his career as a chemical engineer at Chalmers University in his native Sweden, before moving to the University of Liverpool where he completed his doctoral studies in physical organic chemistry. During his PhD he developed a framework for predicting the NMR spectrum of small organic molecules. He continued his training in NMR spectroscopy as a post doctoral fellow at the University of Connecticut where he worked in the emerging field of stochastic data acquisition and non-Fourier processing of multidimensional NMR spectra of biomolecules, an area where he continues to make significant contributions. After a brief stint exploring the structure and dynamics of carbohydrates at the University of Manchester he moved to Australia where he has since 2008 been working on the structural biology of peptides and proteins. His interests lie in understanding how biomolecules engage with their ligands or receptors, be they small molecules, membranes or integral membrane proteins. This research is driven by the development of advanced biochemical and biophysical methods to overcome existing limitations in structural studies by NMR spectroscopy. He was awarded an ARC Future Fellowship in 2011 to establish an independent laboratory and has to date attracted >$6M in research support. His work was recognised with the award of the Lorne Proteins Young Investigator Award in 2010 and the Sir Paul Callaghan Medal in 2013 by the Australia and New Zealand Society for Magnetic Resonance. Nuclear magnetic resonance is one of the most powerful atomic resolution techniques for probing the physicochemical properties of molecules. In biophysics and particularly in protein research NMR can uniquely be used to determine both high-resolution structures and conformational dynamics of proteins in their natural solution state environment. NMR can further be used to provide functional data and is routinely used as a screening tool to provide input to structure based drug design studies. The properties that make NMR such a versatile technique also require technical expertise in data acquisition, analysis and interpretation. 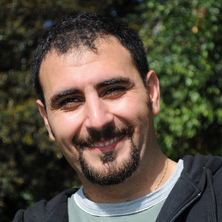 Dr Mobli's research is focused on the application of NMR spectroscopy in molecular biology, with the aim of increasing the utility of the technique itself through automation and also to expand its current applications. His group are working on diverse biological problems including understanding the structure of disulfide stabilised peptides, how voltage-gated ion channels are modulated by natural and synthetic ligands and the mechanism of bacterial transcription pausing. All of these projects are being pursued with the ultimate goal of developing novel drugs and diagnostic tools. Dr Mobli is a leading member of the Australian biomolecular nuclear magnetic resonance (NMR) community, and has established an international standing in this field. He has, published a monograph and 10 book chapters, including 3 entries in the IUPAC reference for NMR. He has a career total of >1,400 citations from > 80 publications and an h-index of 24. His career is interdisciplinary with a clear focus on biomedical research, his doctoral studies were sponsored by GlaxoSmithKline, followed by postdoctoral fellowships in the USA and the UK funded by NIH and the Wellcome Trust respectively, and his research has been supported by three NHMRC project grants since 2011. These biomedical advances are driven by basic research, aimed at developing advanced experimental protocols and computational methods, this stream of research in his group is funded by the ARC (Future Fellowship as well as Discovery project and LIEF grants). His doctoral work led to algorithms and software that are used across industry and academia in characterising drug-like molecules and his postdoctoral work led to various computational methods that are in use broadly in analysis of biomolecular NMR data. He is currently developing novel methods for drug screening against soluble and membrane embedded receptors with the aim to develop novel antibiotics and analgesics. Abraham, Raymond and Mobli, Mehdi Modelling 1H NMR spectra of organic compounds: Theory, applications and NMR prediction software. Chichester: Wiley, 2008. Mobli, Mehdi and Hoch, Jeffrey C. (2017). Fast NMR data acquisition: beyond the Fourier transform: Preface. In Mehdi Mobli and Jeffrey C. Hoch (Ed. ), Fast NMR data acquisition: beyond the Fourier transform (pp. VIII-X) Cambridge, United Kingdom: Royal Society of Chemistry. Mobli, Mehdi, Stern, Alan S. and Hoch, Jeffrey C. (2017). Maximum entropy reconstruction. In Mehdi Mobli and Jeffrey C. Hoch (Ed. ), Fast NMR data acquisition: beyond the Fourier transform (pp. 252-266) Cambridge, United Kingdom: Royal Society of Chemistry. The tarantula toxin β/δ-TRTX-Pre1a highlights the importance of the S1-S2 voltage-sensor region for sodium channel subtype selectivity. King, Glenn F. and Mobli, Mehdi (2010) Derivation of Peptide and Protein Structure using NMR Spectroscopy. Comprehensive Natural Products Ii: Chemistry and Biology, Vol 9: Modern Methods in Natural Products Chemistry, 9 279-325. Abraham, Raymond J. and Mobli, Mehdi (2004) The prediction of 1H NMR chemical shifts in organic compounds. Spectroscopy Europe, 16 4: . Franke, B., James, A., Mobli, M., Mylne, J. S. and Rosengren, K. J. (2016). Structural Features of An Unusual Sun-Flower Proalbumin Protein That Gives Rise to a Small Cyclic Peptide and a Seed Storage Protein. In: 34th European Peptide Symposium, Leipzig, Germany, (S124-S124). 4‐9 September 2016. Rahnama, S., Lachlan, R., Cardoso, F. C., Smith, J., Deuis, J., Vetter, I., King, G. F. and Mobli, M. (2015). Rational development of novel analgesics for the treatment of chronic pain: Structure-Function studies of an engineered Nav1.7 blocker. In: The 40th Lorne Conference on Protein Structure and Function, Lorne VIC, Australia, (). 8-12 February 2015.